A piano note bursts and its radiance brings a melancholy glow to the hermit synth waves which oscillate like those winds drawing arabesques on the dunes. Pensive, Robert Rich spreads his notes which fall like sonic dominoes in accordance with the visions of a title like "We Shed the Remnants of Last Winter". Personified by these harsh waves of Markus Reuter's Guitar Touch or Prophet-6 synth, the winter seems to have been more bitter than the rest! When Robert Rich and Markus Reuter united their musical destinies for the first time, it was in 2007 with the album Eleven Questions. The visions of the two artists had unblocked into an album of atmospheres and tribal rhythms with a more experimental touch for the time. Ten years later, the duo puts it back with a much more ambient album. With a thoughtful Robert Rich on piano and a Markus Reuter sculpting spectral ambiances. Composed in 2 days, “Lift a Feather to the Flood” is an album of improvisations which cling onto the visions of two musicians who love to shake up the order of things. At the same time intimate and egocentric, the music flirts with a latent aggressiveness which reaches peaks of intensity in the tones and not in the rhythms which are quite non-existent. An album difficult to define and to tame which is addressed to those who like when a piano fades its melancholy in a shower of dissonant sound effects which against all odds reaches the level of the piano emotivity. Showing that the union of Robert Rich & Markus Reuter is something other than pure chance. If the music is of atmospheric elements, the particles which compose it can contain elements of rage as in "Twining Branches Make a Path" where the piano bursts forcefully while synth and / or the guitar blades shear these atmospheres like abrasions of foils made with grace. "Glistening on wet Tarmac" brings us closer to the works of ambience that Robert Rich made with Steve Roach. Ditto for "Seedlings Push Through Cracks" where the piano is more melodious in its envelope of nostalgia. Dark and tenebrous, the tranquility of "These Storms Cast Shadows on the Ocean" is swept by crumpled metal waves. The piano becomes just as dissonant as it is shaken with fear by these waves rolling like flocks of ragged blades. "We Once Forgot" offers a more psychedelic approach with circular beats designed with oscillating waves rolling like spirograph patterns which hypnotize the senses. Always phlegmatic behind his piano which seems to be so far away from the effects of Mark Reuter, Robert Rich unrolls his notes without attachment or harmonic visions. "That We Were Made of Stars" is a little in the same mold, even if different lines of piano sculpt decaphonic landscapes and even if Markus Reuter is wiser with his abstract tonal art. "We Will Walk Away Unscathed" sounds so out of track! It's a little gem of tenderness with a very melodious piano which sinks its nostalgia into a symphony of tonal buzzing and corrosions. Indeed, Robert Rich & Markus Reuter get along as thieves in fair in this universe of discordances where some elements converge while others are completely ignored. One learns to love “Lift a Feather to the Flood” only if we are looking for experimental music. Abstract too, with a zest of melancholy which takes brief harmonic paces, this music is comfortably wrapped in a mixture of synth pads and guitars in the colors of a sky witnessing infernal fires. As if the perception of some does not go with the vision of others! Une note de piano éclate et son rayonnement apporte une lueur mélancolique aux ondes de synthé ermites qui oscillent comme ces vents dessinant des arabesques sur les dunes. Pensif, Robert Rich étale ses notes qui tombent comme des dominos sonores en conformité avec les visions d'un titre comme "We Shed the Remnants of Last Winter". Personnifié par ces ondes âpres de Markus Reuter à la Guitare Touch ou encore sur le Prophet-6, l'hiver semble avoir été plus amères que les restants. Lorsque Robert Rich et Markus Reuter avaient uni leurs destinés musicales pour la première fois, c'était en 2007 avec l'album Eleven Questions. Les visions des deux artistes avaient débloqué en un album d'ambiances et de rythmes tribaux avec une touche plus expérimentale pour l'époque. Dix ans plus tard, le duo remet ça avec un album nettement plus ambiant. Avec un Robert Rich pensif au piano et un Markus Reuter sculptant des ambiances spectrales. 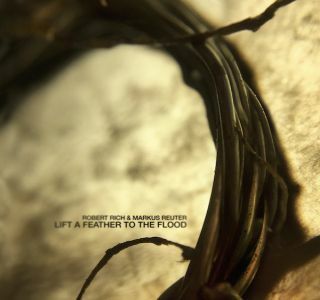 Composé en 2 jours, “Lift a Feather to the Flood” est un album d'improvisations qui s'agrippent aux visions de deux musiciens qui adorent bousculer l'ordre des choses. À la fois intimiste et égocentrique, la musique flirte avec une agressivité latente qui atteint des sommets d'intensité dans les tons et non les rythmes qui sont tout à fait inexistants. Un album difficile à cerner et à apprivoiser qui s'adresse à ceux qui aiment qu'un piano effiloche sa mélancolie dans une douche d'effets sonores dissonants qui contre toute attente atteint le niveau d'émotivité du piano. Démontrant que l'union de Robert Rich & Markus Reuter est autre chose que du pur hasard. Si la musique est d'ambiances, les éléments qui la compose peuvent contenir des éléments de rage comme dans "Twining Branches Make a Path" où le piano éclate avec force alors que des lames de synthé et/ou de guitare cisaillent ces ambiances comme des écorchures de fleurets faites avec grâce. "Glistening on wet Tarmac" nous ramène plus près des œuvres d'ambiances que Robert Rich a réalisé avec Steve Roach. Idem pour "Seedlings Push Through Cracks" où le piano est plus mélodieux dans son enveloppe de nostalgie. Sombre et ténébreuse, la tranquillité de "These Storms Cast Shadows on the Ocean" est balayé par des ondes de métal froissé. Le piano devient tout autant dissonant, comme bousculé de peur par ces vagues qui roulent comme des troupeaux de lames éraillées. "We Once Forgot" propose une approche plus psychédélique avec des battements circulaires conçues avec des ondes oscillatoires roulant comme ces cercles spirographes qui hypnotisent les sens. Toujours flegmatique derrière son piano qui semble être à des lieux des effets de Mark Reuter, Robert Rich déroule ses notes sans attache, ni visions harmoniques. "That We Were Made of Stars" est un peu dans le même moule, même que différentes lignes de piano sculptent des paysages décaphoniques et même si Markus Reuter est plus sage avec son art tonal abstrait. "We Will Walk Away Unscathed" fait bande à part. C'est un petit bijou de tendresse avec un piano très mélodieux qui coule sa nostalgie dans une symphonie de bourdonnements et de corrosions tonales. Effectivement, Robert Rich & Markus Reuter s'entendent comme larrons en foire dans cet univers de discordances où certains éléments convergent alors que d'autres s'ignorent totalement. On apprend à aimer “Lift a Feather to the Flood” que si nous sommes à la recherche d'une musique expérimentale. Abstraite aussi, avec un zest de mélancolie qui prend de brèves allures harmoniques, cette musique est confortablement enveloppée d'une mixture de nappes de synthé et de guitares aux couleurs d'un ciel témoin de feux infernaux. Comme quoi la perception des uns ne va pas de pair avec la vision des autres! Yep, 2019! And I had so much fun analyzing Alba Ecstasy's music last year that I decided to continue the experiment. The reviews will be shorter since we know the subject all ears filled. First download of 2019, “Frozen Thoughts” is equipped of 3 long titles that have the improvisational perfume of the Roumanian School with minimalist structures loaded of an entire arsenal of synths and sequencers. The structures stick to the identity of the album with titles which seem frozen in minimalist membranes evolving as a slow awakening. The sequences are limpid with a big L, causing our mind to drift into Mirage's boundaries. A beautiful album more ambient than rhythmic, “Frozen Thoughts” travels between intensity and drama in a nice sound envelope where the sequences are like these verses in long poems stigmatized in the cold. "Mind Core" is in the tradition of Klaus Schulze's Berlin School of the golden years with chloroformed layers whose anesthetic breezes cover a harmless and floating movement of the sequencer. The breezes roll in loops, like clouds of ether which repress at an unknown point. Tears of synth flow in the form of complaints or lifeless solos. It's these elements that makes Klaus Schulze the most, Blackdance or Picture Music periods, and which dose the ambient intensity level of "Mind Core". The movements of these fog banks stimulate a rhythm of fog while the sequencer activates more and more its muted approach, drawing floating axes which crumble into resonant filaments in order to create an electro-magnetic storm. A quiet title! "Another Blood Wolf Moon Story" also begins with a flavor of ambient music, but more nebulous. Hollow breezes and others of crystal fill an introduction where a synth cries in a resonance area. Solos are tender and romantic. They blow a melancholy with tremolo in the airs and in the breezes of the atmospheres. These solos are majestic with strident songs that are at the doors of an ectoplasmic universe. The sequencer activate itself before the 3 minutes. There is uncertainty in the hopping of the keys which are fat, resonant and juicy, creating an approach as evasive as a game of cat and mouse with those hesitant steps which seem to stumble into this illusion of cosmic universe. But no matter, it hides a clear velocity in the evolution of "Another Blood Wolf Moon Story" which shows more and more its intensity. The jingling which get in are the sign that the percussions are coming. Under an increased embellishment of synth solos, they hesitate before reorganizing in a pulsating rhythm which cannot tie the music to its speed which flirts with a morphic techno. The solos remain haunting and remind us of theft of witches' flight whose cries burst out with their aerial acrobatics. Without ever really taking off, the rhythm reflects on its options which always remain at the peak of indecision. In doing so, the music recreates a wave of intensity on a structure which puts to the fore a synth which takes its revenge on its excessive absence in the album Spells. "Between the Lines" keeps the music of “Frozen Thoughts” in its vegetative state. A rumble of machine, which arrives to us by oscillating waves, synth pads, which also breathe by haunting solos and sound effects of a universe of perdition, anchor the 6 minutes of an always intense music at the level of its element moods. The sequencer is more powerful in the opening of "A Fugitive Moment". Its keys jump incisively, carving large loops which climb the mountains of Berlin School. Intense and ambient, this last title of “Frozen Thoughts” consolidates this feeling of long phases of improvisations which structure its long titles. Here, the synth is active with jerky whispers whereas the orchestral mist always feeds of intensity. Cosmic effects and threatening waves nourish the scenery of this rhythmic rise which gets more musical when a bass line and percussions are grafted to this symphony on the meditative beauties of nothingness. Slower than basically animated, "A Fugitive Moment" ranks in these tracks which nourished the principles of Klaus Schulze's In Blue album and whose imprints are really rooted in this debut album of Alba Ecstasy in 2019. Eh oui, 2019! Et j'ai eu tellement de plaisir à analyser la musique d'Alba Ecstasy l'année dernière que j’ai décidé de poursuivre l'expérience. Les chroniques seront moins longues puisque l'on connait le sujet à fond les oreilles. 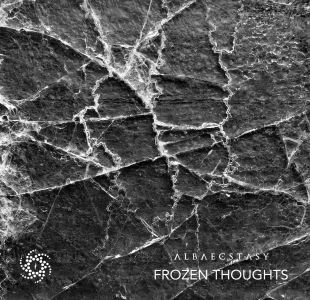 Premier download de 2019, “Frozen Thoughts” est équipé de 3 longs titres qui ont ce parfum d'improvisation de la Roumanian School avec des structures minimalistes gonflées à bloc de tout un arsenal des synthés et séquenceurs. Les structures se collent à l'identité de l'album avec des titres qui semblent figés dans des membranes minimalistes évoluant comme un lent éveil. Les séquences sont limpides avec un gros L, amenant notre esprit à dériver dans les frontières de Mirage. Un bel album plus ambiant que rythmique, “Frozen Thoughts” voyage entre intensité et drame dans une belle enveloppe sonore où les séquences sont comme ces vers dans de longs poèmes stigmatisés dans le froid. "Mind Core" est dans la pure tradition du Berlin School des belles années de Klaus Schulze avec des nappes chloroformées dont les brises anesthésiantes recouvrent un mouvement inoffensif et flottant du séquenceur. Les brises roulent en boucles, comme des nuages d'éther qui refoulent à un point inconnu. Des larmes de synthé coulent sous formes de plaintes ou de solos sans vie. C'est cet élément qui fait le plus Klaus Schulze, périodes Blackdance ou Picture Music, et qui dose le niveau ambiant d'intensité de "Mind Core". Les déplacements de ces bancs de brouillard stimulent un rythme de brume alors que le séquenceur active de plus en plus son approche en sourdine, traçant des axes flottants qui s'effritent en de filament résonnant afin de créer une tempête électro-magnétique. Un titre tranquille! "Another Blood Wolf Moon Story" débute aussi avec une saveur de musique d'ambiances, mais plus nébuleuses. Des souffles creux et d'autres de cristal meublent une introduction où pleure un synthé dans une aire de résonnances. Les solos sont tendres et romantiques. Ils soufflent une mélancolie avec du trémolo dans les airs et les brises des ambiances. Ces solos sont majestueux avec des chants stridents qui sont aux portes d'un univers ectoplasmique. Le séquenceur s'active avant les 3 minutes. Il y a de l'incertitude dans les sautillements des ions qui sont gras, résonnants et juteux, créant une approche aussi évasive qu'un jeu de chat et souris avec ces pas hésitants qui semblent trébucher dans cette illusion d'univers cosmique. Mais peu importe, il se cache une nette vélocité dans l'évolution de "Another Blood Wolf Moon Story" qui affiche de plus en plus son intensité. Les cliquetis qui s’invitent sont le signe annonciateur que les percussions arrivent. Sous une embellie accrue des solos de synthé, elles hésitent avant de se réorganiser dans un rythme pulsatoire qui n'arrive pas à arrimer la musique à son débit qui flirte avec du techno morphique. Les solos restent obsédants et font penser à des vols de sorcières dont les cris fusent avec leurs acrobaties aériennes. Sans jamais vraiment décoller, le rythme réfléchit à ses options qui restent toujours au top de l'indécision. Cela faisant, la musique restitue une onde d'intensité sur une structure qui met à l'avant-scène un synthé qui prend sa revange sur sa trop grande absence dans l'album Spells. "Between the Lines" maintient la musique de “Frozen Thoughts” dans son état végétatif. Un grondement de machine, qui nous parvient par ondes oscillatoires, des nappes de synthé, qui respirent aussi par des solos hantant et des effets sonores d'un univers de perdition, ancrent les 6 minutes d'une musique toujours intense au niveau de ses éléments d'ambiances. Le séquenceur est plus puissant dans l'ouverture de "A Fugitive Moment". Ses ions sautent incisivement, sculptant de larges boucles qui gravissent les monts de la Berlin School. Intense et ambiant, ce dernier titre de “Frozen Thoughts” consolide cette sensation de longues phases d'improvisations qui structurent ses longs titres. Ici, le synthé est actif avec des murmures saccadés alors que la brume orchestrale se nourrit toujours d'intensité. Des effets cosmiques et des ondes menaçantes nourrissent le décor de cette montée rythmique ascensionnelle qui devient plus musicale lorsqu'une ligne de basse et des percussions se greffent à cette symphonie sur les beautés méditatives du néant. Plus lent que foncièrement animé, "A Fugitive Moment" se classe dans ces titres qui nourrissaient les principes de l'album In Blue de Klaus Schulze et dont les empreintes sont véritablement ancrées dans ce premier album d'Alba Ecstasy en 2019. It seems that I did not have them all! That there would have been compilations or reissues that passed me under the ears in 2018. So here is this latest album of Alba Ecstasy in 2018 which is also a final fantasy of the Romanian synthesist as he sings on some titles. It's not really bad! His incantations fit very well with the Roumanian School style which projects more and more musical fragments related to the music of Indra. 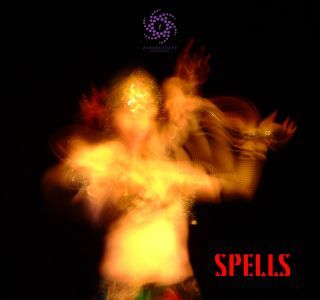 This being written, “Spells” is another good album that looks like many other Alba Ecstasy albums. It's always pleasant to discover and to hear since its minimalist structures serve as a setting for evolutions which are always in mode surprise and seduction. "Dance of Medusa" starts things off with a movement of the sequencer which delivers to our ears a spasmodic line. The keys are fat and jump in a cosmic Funk and Break Dance slathered with circular synth pads whose semi strident blades are like warning lights in alert mode. Falling percussions, as well as more limpid sequences jumping on the spot, reorient the structure towards a cosmic rock embellished by a keyboard that coo a protean melody perfectly in line with this dislocated structure. "Fantasia" offers synth waves which roll between our ears like those waves that we hear on a beach. The sequencer emerges around the 2 minutes, structuring a rhythm nourished of brief oscillations which roll in loops in a final where din and serenity have the same fight. These oscillations find a new identity in “Spells” which is rocked by tender orchestral layers. Gently, these ambiences migrate using another more accentuated movement of the sequencer and slamming percussive elements which captivate an auditory interest. The percussions get in and structure a lively rhythm for the neurons. This cosmic rock is nourished by a thick layer of sounds and allows Mihail Adrian Simion to lay down his voice in different forms and vocal effects. These periodic incantations sit pretty well with this minimalist structure which, once again, fills up with charming and magnetizing additions. This is consistent with the signature of Alba Ecstasy. Neither brilliant nor uninteresting; “Spells” is in continuity with the works of Alba Ecstasy that I heard this year. It's pretty hard to resist to so many calls from the sequencer and its mesmerizing minimalist movements, even when the synth lets its solos for another album. The voices? Well, it's not that much! They serve as ostentatious decoration to the myths of esoteric music. I liked it well, even though I had this feeling of déjà-heard. But isn't not proper to minimalist music? Paraitrait-il que je ne les ai pas tous eus! Qu'il y aurait eu des compilations ou rééditions qui me sont passées sous les oreilles en 2018. Donc voici ce dernier opus d'Alba Ecstasy qui est aussi une dernière fantaisie du synthésiste Roumain puisqu'il chantonne sur certains titres. Ce n'est pas vraiment mauvais! Ses incantations siéent très bien avec le style Roumanian School qui projette de plus en plus d'éclats musicaux liés à la musique d'Indra. Ceci étant écrit, “Spells” est un autre bel album qui ressemble à bien d'autres albums d'Alba Ecstasy. C'est toujours agréable à découvrir et à entendre puisque ses structures minimalistes servent de décor à des évolutions qui sont toujours en mode surprise et séduction. "Dance of Medusa" débute le bal avec un mouvement du séquenceur qui livre à nos oreilles une ligne spasmodique. Les ions sont gras et sautillent dans un Funk et Break Dance cosmique badigeonné de nappes de synthé circulaires dont les lames semi stridentes sont comme des gyrophares sonores en mode alerte. Les percussions qui tombent, de même que des séquences plus limpides sautant sur place, réorientent la structure vers un rock cosmique agrémenté par un clavier qui roucoule d'une mélodie protéiforme tout à fait conforme à cette structure un brin disloquée. "Fantasia" propose des nappes de synthé qui roulent entre nos oreilles comme ces vagues que l'on entend sur une plage océanique. Le séquenceur émerge autour des 2 minutes, structurant un rythme nourri de brèves oscillations qui roulent en boucle dans une finale où tintamarre et sérénité ont le même combat. Ces oscillations trouvent une nouvelle identité dans "Spells" qui est bercé de tendres nappes orchestrales. Doucement, ces ambiances migrent à l'aide d'un autre mouvement plus accentué du séquenceur et d'éléments percussifs claquants qui captivent un intérêt auditif. Les percussions arrivent et structurent un rythme entraînant pour les neurones. Ce rock cosmique est nourri d'une épaisse couche de sons et permet à Mihail Adrian Simion de coucher sa voix sous différentes formes et effets vocaux. Ces incantations périodiques siéent assez bien avec cette structure minimaliste qui, une fois de plus, se remplit à ras bord d'ajouts aussi charmants que magnétisants. C'est conforme à la signature d'Alba Ecstasy. Ni génial, ni sans intérêt; “Spells” est dans la continuité des œuvres d'Alba Ecstasy! C'est assez difficile de résister à tant d'appels du séquenceur et de ses envoûtants mouvements minimalistes, même lorsque le synthé laisse ses solos pour un autre album. Les voix? Bah, ce n'est pas tant que ça! Elles servent de décoration ostentatoire aux mythes de la musique ésotérique. J'ai bien aimé, même si j'ai eu cette sensation de déjà-entendu. Mais n'est-ce pas le lot de la musique? minimaliste? 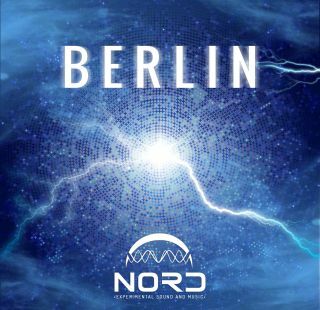 Nord had a very good year in 2018 with two of his albums (Black Tears in 11th place and The Tree of Life in 18th place) which were nominated for the album of the year as part of the prestigious Schallwelle Award; the Oscars of Electronic Music. He starts 2019 on the right foot with an album which makes the share between his first love for big progressive rock and his late favorite heart-struck for EM. In doing so, “Digital Dreams” is quite consistent with his latest opuses. The music is influenced between dreams and slices of life that are real daydreams. The 6 structures proposed are evolutive and comfortably crisscross its two poles of music on compositions which don't suffer from its always prolific writing. The rhythms are forged by a good vision of the sequencer and good drum acts, giving at times quite exciting structures, sometimes even wild, which are in continuous movements. The synths, still very piercing and strangely singular, are again very creative, both at the level of solos and effects, which often have a slight Vangelis side, as well as for the arrangements and melodies which have a little sibylline vision. In short, a nice album with very few dead moments and which starts pretty well 2019 for this likeable Romanian musician. It's with a wave of resonance and distortion that begins "Sirens Part 1". Shimmering effects and flickering layers are joining to an introduction rich of its effects which clings to a zigzagging movement of the sequencer. This framework of the ambiences and the rhythm a bit organic reminds me a little of "A" 200 from Deep Purple that we found in the Burn album. The layers intersect their destinies in a movement of astral waltz, while the organic effects of the sequencer nourish a fluttering rhythm which always hesitates to start up. The synth is great with lamentations, or solos, of such a sharp intonation that it looks like a metal bow rubbing on the edge of a razor. These layers and piercing solos are very addictive and drive "Sirens Part 1" to timpani drums whose rolling bring the music into a phase of quite exciting electronic rock. The transition of ambient EM, still kept alive by vibrating organic sequences, towards a heavy electronic rock, hammered by drums and bitten by sharp riffs, is true to Nord's signature even if a little more aggressive. The synth layers gradually extend their footprints to become hazy orchestrations with charms that gradually envelop the fury of "Sirens Part 1". We are not far from the Scandinavian Progressive Hard Rock. These 11 minutes are a good indicator of “Digital Dreams” next 50 other ones to come, even if "Sirens Part 2" is more ambient with its symphony of laments that fill our ears to the top. Some have airs of Vangelis and others are bursting of intensity with a slow and moving flow. This avalanche of circular layers makes us forget the movement of the sequencer which drives a discrete and pulsating rhythm. The drum gets activate at around the 4th minute, giving more vitamins to this traveling movement which remains very attractive with those multilayers of iridescent tones and others flowing like magma of mist. An evolving title, "Sirens Part 3" begins with a movement of the sequencer which spreads a range of oscillating tones sliding pleasantly in stereo mode between the ears. These intersecting sequencer flights weave a stationary structure in constant boiling. The sequencer regurgitates its organic tones after 5 minutes, expiring now some more limpid sequences and with a more classical Berlin School identity. This phase initiates an indecision between rock and an EM torpedoed by its hesitations between rhythm and ambient phases in a final without outlet. Inspired by a slice of life, a night walk with his boy, "The Stream Behind the Door" is a title that also sails between ambient vibes, which depict the enchanting surroundings of a river, and a heavy rock phase dynamited by aggressive percussions. But the ambiences dominate, in accordance with the tranquility which adorns the seraphic vision of a river flowing its quiet journey within a city. A bouquet of piano notes and a cloud of iridescent layers inspire a discreet pulsating rhythm which try to get out "Contemplations" from its cocoon of ambient elements. Nebulous synth pads spread an aura of mysticism over a structure in full rout. Effects and foggy pads feed an intensity which increases with the confident presence of the sequencer whose pulsations structure a motionless rhythm. The synth is displaying its charms with piercing layers and lines haunting a piano which disintegrates its notes in a contemplative vision more sibylline than dreamlike. "The Crows and the Boy" is a rather intriguing title. Inspired by an outing to the park with his son, the introduction is fed of crows’ cawing that are quietly swallowed by a very mathematical pulsating rhythm and by synth pads whose chloroformic approach is nuanced by crystalline doses which are flying out in long enigmatic laments. The croaking resist to form the heart of the elements of ambiances while the synth swaps its enigmatic laments into orchestral thin lines. Bass layers and sequencer rolling keys in form of direct current add a slight touch of intensity to this ambio-rhythmic structure which wobbles like the stationary movements of the EM where we can hear the little Nord ask his dad; Where are the crows? Gradually, the symphony of crows takes on the appearance of tension music that would go pretty well in a suspense movie. The synth solos are crucial with laments which become the accomplices of very cinematic orchestrations in a finale which embraces this vision of Nord electronic progressive rock. In conclusion! 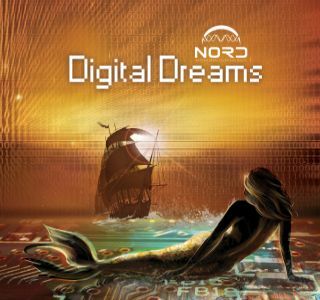 “Digital Dreams” is a nice album where Nord still manages to enhance the value of his compositions with outcomes which defy any auditory wandering of the listener. Whether through changes in rhythm structures, synth solos which are as dominant as they are captivating, and arrangements; there is always something that sticks to the tympanums in this opus and which will certainly please Nord's fan base as well as fans of Scandinavian Progressive Hard Rock in search of a different option, although it’s rather a shy entry but still an entry. Nord a connu une très bonne année 2018 avec 2 de ses albums (Black Tears au 11ième rang et The Tree of Life au 18ième rang) qui ont été en nomination pour l'album de l'année dans le cadre du prestigieux Schallwelle Award; les Oscar de la MÉ. Il débute 2019 sur le bon pied avec un album qui partage assez bien ses premiers amours pour du gros rock progressif et son coup de cœur tardif pour la MÉ. Cela faisant, “Digital Dreams” est assez conforme avec ses derniers opus. La musique est influencée entre les rêves et les tranches de vie qui sont de véritables rêves éveillés. Les 6 structures proposées sont évolutives et traversent confortablement ses deux pôles de musique sur des compositions qui ne souffrent pas de son écriture toujours prolifique. Les rythmes sont forgés par une bonne vision du séquenceur et de la bonne batterie, donnant par moments des structures assez enlevantes, parfois sauvages, qui sont en continuels évolutions. Les synthés, très perçants et étrangement singuliers, sont toujours aussi créatifs, tant au niveau des solos que des effets, qui ont souvent un petit côté Vangelis, ainsi que pour les arrangements et les mélodies qui ont un petit côté sibyllin. Bref, un bel album avec très peu de moments morts et qui débute assez bien 2019 pour ce sympathique musicien Roumain. C'est avec une onde de résonnances et de distorsions que débute "Sirens Part 1". Des effets miroitants et des nappes vacillantes se greffent à une introduction riche en effets et qui s'agrippe à un mouvement zigzagant du séquenceur. Cette ossature d'ambiances et de rythme un brin organique me rappelle un peu "A" 200 de Deep Purple que l'on trouve dans l'album Burn. Les nappes entrecroisent leurs destinés dans un mouvement de valse astral, alors que les effets organiques du séquenceur nourrissent un rythme papillonnant qui hésite toujours à se mettre en marche. Le synthé est fabuleux avec des lamentations, ou solos, d'une intonation si tranchante que l'on dirait un archet métallique se frottant sur le fil d'un rasoir et conduisent "Sirens Part 1" vers des grosses caisses dont les roulements amènent la musique dans une phase de rock électronique assez enlevante. La transition ME ambiante, toujours maintenue en vie par des séquences organiques vibrionantes, vers du gros rock électronique lourd, tabassé par la batterie et mordu par des riffs tranchants, est fidèle à la signature de Nord même si un peu plus agressive. Les nappes de synthés étendent graduellement leurs emprises pour devenir des orchestrations brumeuses avec des charmes qui enveloppent peu à peu la fureur de "Sirens Part 1". Nous ne sommes pas loin du Hard Rock Progressif Scandinave. Ces 11 minutes sont un bon indicateur des 50 prochaines de “Digital Dreams”, même si "Sirens Part 2" est plus ambiant avec sa symphonie de complaintes qui nous en met plein les oreilles. Certaines ont des airs de Vangelis et d'autres sont crevantes d'intensité avec un débit lent et émouvant. Cette avalanche de nappes circulaires fait oublier quelque peu le mouvement du séquenceur qui pilote un rythme discret et pulsatoire. La batterie s'active autour des 4 minutes, donnant ainsi plus de vitamines à ce mouvement ambulant qui reste très séduisant par les multicouches de synthé aux tonalités irisées et d'autres coulant comme du magma de brume. Titre évolutif, "Sirens Part 3" débute avec un mouvement du séquenceur qui étale une gamme de tons oscillateurs glissant agréablement en mode stéréo entre les oreilles. Ces vols entrecroisés du séquenceur tissent une structure stationnaire qui est constamment en ébullition. Le séquenceur régurgite ses tonalités organiques vers les 5 minutes, expirant maintenant des séquences plus limpides et avec une identité plus Berlin School classique. Cette phase initie une constante indécision entre du rock et une MÉ torpillée par ses hésitations entre rythme et phases ambiante dans une finale sans débouché. Inspiré d'une tranche de vie, soit une promenade nocturne avec son garçon, "The Stream Behind the Door" est un titre qui vogue aussi entre des ambiances qui dépeignent les alentours enchanteurs d'une rivière et une phase de rock lourd dynamité par des percussions agressives. Mais les ambiances dominent, conformément à la tranquillité qui orne la vision séraphique d'une rivière qui suit son tranquille parcours à l'intérieur d'une ville. Un bouquet de notes de piano et une nuée de strates de synthés aux couleurs irisées inspirent une discret rythme pulsatoire qui tentent de sortir "Contemplations" de son cocon d'ambiances. Des nappes de synthé brumeuses étendent une aura de mysticisme sur une structure en déroute. Des effets et des nappes brumeuses alimentent une intensité qui s'accroit avec la présence plus certaine du séquenceur dont les pulsations structurent un rythme stationnaire. Le synthé fait l'étalage de ses charmes avec des nappes perçantes hantant un piano qui désagrège ses notes dans une vision contemplative plus sibylline qu'onirique. "The Crows and the Boy" est un titre plutôt intrigant. Inspiré d'une sortie au parc avec son fils, l'introduction est nourrie de cris de corbeaux qui se font tranquillement avalé par un rythme pulsatoire très mathématique et des nappes de synthé dont l'approche chloroformique est nuancée par des doses cristallines qui s'échappent en longues complaintes énigmatiques. Les croassements résistent pour former le cœur des éléments d'ambiances tandis que le synthé permute ses complaintes énigmatiques en filets orchestraux. Des nappes de basses et des roulements du séquenceur en forme de courant continu ajoutent un léger brin d'intensité à cette structure ambio-rythmique qui vacille comme les mouvements stationnaires de la MÉ où on peut entendre le petit Nord demander à son papa où sont les corbeaux. Peu à peu, la symphonie des corbeaux prend des allures de musique à tension qui irait assez bien dans un film à suspense. Les solos de synthé, qui nourrissent aussi l'ensemble de “Digital Dreams”, sont cruciaux avec des complaintes qui deviennent complices d’orchestrations très cinématographiques dans une finale qui embrasse cette vision de rock progressif électronique de Nord. En conclusion! “Digital Dreams” est un bel album où Nord réussit toujours à rehausser la valeur de ses compositions avec des modifications qui déjouent une quelconque flânerie auditive de l'auditeur. Que ce soit par les changements des structures de rythmes, les solos de synthé qui sont aussi dominants que captivants et les arrangements; il y a toujours quelque chose qui colle aux tympans dans cet album qui plaira assurément aux fans de Nord ainsi qu'aux fans de Hard Rock Progressif Scandinave à la recherche d’une différente option, quoique là c'est plutôt une entrée timide mais avouée. We jump up! And from the first steps our fingers cannot follow the beat of "Overture". So, imagine feet! It was with My Christmas Collection that I heard a segment of “BERLIN”, that is with the convincing and catchy rhythm of "Berlin III". "Overture" is from the same mold. Bass sequences, others more limpid and electronic percussion are all a hit! Arpeggios in glass and melodious chords get grafted to this hammering of the sequencer which jumps madly on the same spot but with such ferocity that the adjective velocity appears timid. The synth throws banks of fog and these sharp and pointed solos which are the point of reference of Nord's electronic hymns. "Overture" sets the tone to an album whose reference to the Berlin School extends more on its evolution than the rhythms discovered with "Berlin III" and this "Overture". We move from pure tempo forging by a creative and strong sequencer to moments which require a greater open mind, especially with "Berlin VI". But there are several little musical treats before you get there. The solos are lascivious and fiercely melodious in the semi-slow rhythm of "Berlin I". The organicosmic vision of interplanetary noises and these solos add a very Jean-Michel Jarre touch to this track whose strident and spectral harmonies give chills in the back. The rhythm evolves to reach a good velocity of a rock which is strongly attracted by the vibes of dance music with percussions which frolic and slam like a swarm of metallic wings in a factory of EM which does very Jarre. But it resists to this call and dominates in a good electronic rock! And when it's over, "Berlin II" falls into our ears. And we wonder, our ears too, whether there is not a mistake because we have the impression of re-hearing "Berlin I". And that's comprehensible! The pace is almost similar, and it will evolve to embrace a decidedly more dance approach. A slight fragrance of Arabian cosmic and harmonic pads, which sound like Moonbooter, are the first noticeable differences. There are more effects and more orchestral layers which throw artificial harmonies traveling on violin wings, I hear Software here, in a more dance-like approach. This is a good title with harmonies that a synth screws still very adroitly into our ears. We know "Berlin III" (Otherwise read my review of My Christmas Collection)! So, let's jump to "Berlin IV" and its breaths in saccade which adorn its opening. Drawing a rhythm in the form of jerky fog breezes, the introduction takes two minutes to take off. And when it's done, a barrage of percussion and tssiit-tssiit added to futuristic Funky-like sequences attack our eardrums with a good rhythmic velocity which serves well the layers, lines and the harmonic solos of a synth which is also very generous on sound effects. Fine variances distort a rhythmic minimalist approach which breathes comfortably in Jarre's cosmic fauna. As we go forward the world of “BERLIN” evolves in a more audacious form. If the first 4 tracks invite us into the pure Berlin School animated by sequences whose variable speeds always breathe the magnetisms of the Berliner model, "Berlin IV" begins the transition between energic Berlin School, slowed down as the titles get unfold, and a cosmic dance music. Thus, what "Berlin V" is made of? Of a beat which is flowing like a semi-lascivious dance with strident solos melting into pleasant electronic harmonies. Loopy oscillations weave a melodious pattern that quietly makes its way between the ears while the rhythm is carved of jerky spasms which dance pretty well with the oscillations. Here, as everywhere in “BERLIN”, the spatial effects of French cosmic rock adorn these carousels, rolling with always catchy rhythms even if the speeds of the structures vary a lot, whereas the synths blow many influences of Klaus Schulze in their solos. Speaking of Schulze, the spheroidal structure of "Berlin VI" fits very well with his style of the 85-90 years. An appealing arpeggio ritornello, whose axis goes up and down in a vision of romance or of a lunar lullaby, is blooming from an introduction all in multicoloured sounds. Electronic effects, cosmic noises, Kraftwerk's oscillator gurgling, and orchestral layers irradiated of ether and opium particles are among the sound samples which blend into a very progressive decor and make the moods of "Berlin VI" a bit difficult to tame. The whole thing flirts more with sound experiments than the incisive melody which goes so deep between the ears. The synth tones embrace several psychedelic influences, including those of Conrad Schnitzler, and are at times the equivalent of a concerto for voices of eunuchs sick from an interplanetary virus. Let say it's a title that may scratch some ears! My beautiful Lise gave me a couple of questioning looks. "My Silent Agony" finishes this “BERLIN” with a first seraphic half. Dense and enveloping layers of anesthetic fog and Babylonian orchestrations play with impulses of intensity up until the rhythm hops up and down in its multiple oscillations and jolts which will ended without really having progressed. Nearly 90 minutes of pure Berlin School for aficionados, we cannot say that Sztakics István Attila aims next to his target with a “BERLIN” whose first 60 minutes seduce those who learned to tame the style of the 75's. There is a slack after "Berlin IV", immersing the listener in a world that is not his and yet which is not that far. But a little open mind and you will discover a music that zeroes all possible horizons of the best of EM...which is the good old Berlin School! On sursaute! Et dès les premières mesures nos doigts ne peuvent suivre la cadence de "Overture". Imaginez les pieds! C'est avec My Christmas Collection que j'ai entendu un segment de “BERLIN”, soit avec le rythme convaincant et accrocheur de "Berlin III". "Overture" est du même moule. Séquences basses, d'autres plus limpides et percussions électroniques font tout un tabac! Arpèges en verre et accords mélodieux se greffent à ce pistonnage du séquenceur qui saute sur le même point mais avec une telle férocité que l'adjectif vélocité paraît timide. Le synthé lance des bancs de brume et ces solos aiguisés et aiguillés qui sont le point de référence des hymnes électroniques de Nord. "Overture" donne le ton à un album dont la référence au Berlin School s'étend plus sur son évolution que des rythmes découverts avec "Berlin III" et ce "Overture". On passe du pur tempo enlevant forgé par un séquenceur créatif à des moments qui demande une plus grande ouverture, surtout avec "Berlin VI". Mais il y a plusieurs petites gâteries musicales avant d'y arriver. Les solos sont lascifs et farouchement mélodieux dans le rythme semi-lent de "Berlin I". La vision organi-cosmique des bruits interplanétaires et ces solos ajoutent une petite touche très Jean-Michel Jarre à ce titre dont les harmonies stridentes et spectrales donnent des frissons dans le dos. Le rythme évolue pour atteindre une belle vélocité d'un rock fortement attiré par les effluves de la danse avec des percussions qui batifolent et claquent comme une nuée d'ailes métalliques dans une usine à MÉ qui fait très Jarre. Mais il résiste et domine un bon rock électronique! Et lorsque c'est fini, "Berlin II" nous tombe dans les oreilles qui s'interrogent, nous aussi d’ailleurs, à savoir s'il n'y a pas une erreur parce qu'on a l'impression de réentendre "Berlin I". Et ça se comprend! Le rythme est quasiment similaire et il évoluera de façon à embrasser une approche résolument plus danse. Un léger parfum d'Arabie cosmique et des coussins harmoniques, qui sonnent comme du Moonbooter, sont les premières différences notables. Il y a plus d'effets et plus de nappes orchestrales qui lancent des harmonies artificielles voyageant sur des ailes de violons, j'entends du Software ici, dans une approche plus en mode danse. Il s'agit d'un bon titre enlevant avec des harmonies qu'un synthé visse encore très adroitement dans nos oreilles. On connait "Berlin III" (Sinon lisez ma chronique de My Christmas Collection)! Sautons donc à "Berlin IV" et ses souffles en saccade qui ornent son ouverture. Traçant un rythme sous forme de jets de brume, l'introduction demande deux minutes afin de décoller. Et lorsque c'est fait, un barrage de percussions et de tssiit-tssiit ajouté à de séquences en forme de Funk futuriste attaque nos tympans avec une bonne vélocité cadencée qui sert bien les nappes, les lignes et les solos harmoniques d'un synthé qui est aussi très généreux sur les effets sonores. De fines variances déforment une approche minimaliste du rythme qui respire confortablement dans la faune cosmique de Jarre. À mesure que nous avançons, le monde de “BERLIN” évolue avec une vision plus audacieuse. Si les 4 premiers titres nous invitent dans le pur Berlin School animé par des séquences dont les vitesses variables respirent toujours les magnétismes du modèle Berliner, "Berlin IV" débute la transition entre du Berlin School violent, pondéré et une musique de danse cosmique. De quoi est fait "Berlin V"? D'un rythme coulant comme une danse semi-lascive avec des solos stridents qui fondent en de plaisantes harmonies électroniques. Des oscillations en boucles tissent un pattern mélodieux qui fait tranquillement son chemin entre les oreilles alors que le rythme est sculpté de spasmes saccadés qui dansent assez bien avec les oscillations. Ici, comme partout dans “BERLIN”, les effets spatiaux du rock cosmique Français ornent ces carrousels de rythmes toujours entraînants, même si les vitesses de structures varient beaucoup, alors que les synthés soufflent beaucoup d'influences de Klaus Schulze dans leurs solos. Parlant Schulze, la structure sphéroïdale de "Berlin VI" colle très bien à son style des années 85-90. Une séduisante ritournelle d'arpèges, dont l'axe monte et descends dans une vision de romance ou de berceuse lunaire, s'extirpe d'une introduction tout de bruits bigarrées. Effets électroniques, bruits cosmiques, gargouillis d'oscillateur à la Kraftwerk et nappes orchestrales irradiées de particules d'éther et d'opium sont parmi les échantillons de sons qui se fondent dans un décor très progressif et qui rendent les ambiances de "Berlin VI" un peu difficile à dompter. L'ensemble flirte plus avec les expérimentations sonores que la mélodie incisive qui se visse entre les oreilles. Les tonalités du synthé épousent plusieurs influences psychédéliques, dont celles de Conrad Schnitzler, et sont par instants l'équivalent d'un concerto pour voix d'eunuques enrhumées par un virus interplanétaire. Disons qu'il s’agit d'un titre qui risque de décaper des oreilles! Ma belle Lise m'a lancé une couple de regards interrogateurs. "My Silent Agony" termine ce “BERLIN” avec une première moitié séraphique. De denses et enveloppantes nappes de brume anesthésiante et d'orchestrations babyloniennes jouent avec des élans d'intensité jusqu'à ce que le rythme trépigne de multiples oscillations et de soubresauts qui se perdront sans avoir progressé. Près de 90 minutes de pur Berlin School pour aficionados, on ne peut dire que Sztakics István Attila vise à côté de sa cible avec un “BERLIN” dont les 60 premières minutes séduiront ceux qui ont appris à apprivoiser le style à partir des années 75. Il y a comme un mou après "Berlin IV", plongeant l'auditeur dans un univers qui n'est pas le sien et qui n'est pourtant pas si loin. Mais un peu d'ouverture et vous découvrirez une musique qui zieute tous les horizons possibles du meilleur de la MÉ, le bon vieux Berlin School! It's a shame, we don't talk much about Xan Alexander. And yet, we should! It's also quite normal since the English musician focuses on the activities of Magnetron whose last studio album dates back to 2017 with Hypnosis. Since then, it's silence! Except for the re-releases in CD-r format on the Synth Music label of his catalog including this “Quantum Waves” which was reissued in the summer of 2018. So, I will try to correct this injustice by bringing to your attention this album, in reality its 4th solo album, which moves towards a world of ambiances very close to the territories of Edgar Froese and of Tangerine Dream, two very dominant sources of inspiration in the music of the English musician. Appeared in 2010 on the Ambient Live label, “Quantum Waves” has undergone two changes; in 2013 with the label Ouroboros Music and in 2018 on Synth Music Direct and on Xan Alexander's Bandcamp site with the addition of 2 bonus tracks. It's this edition that I review for you, Berlin School lovers! It's with a futuristic Western approach that “Quantum Waves” is opening. The ballad of "I"! Pulsating steps adopt an easy-going approach which gets rely on other metronomic percussions sounding like pecking on wood. A keyboard draws a delicious approach which weaves a pleasant ear worm before melting into an ambient disorder where the magnetizing rhythm of "I" was extinguished without our consent. The music is tied into a long sonic river which goes up to "Agents of Chaos". Keyboard effects which are close to the Exit period, we can also add White Eagle, it's in the introduction of nebulous ambiences of "II" that the first fragrances of Tangerine Dream's influence are heard. A rhythmic approach emerges after the first minute of these ambiences. The sequencer modulates a rhythm in progression which sounds like the crusade of a knight galloping in a meadow where each of the trots of his chimerical horse raises sound particles. Layers of a synth as enveloping as the maternal arms of Morpheus envelop this passive rhythm that allows the synth to spit a sonic venom with solos which hypnotize our sonorous quest. We arrive at the barrier of 8 minutes! The rhythm disappears and "II" plunges into a mystical place which reconnects with the sonic enigmas of its opening. This moment of ambiances, modeled on the models Tangerine Dream and Edgar Froese on solo, slides to the softness of "III" which is dominated by caresses of Mellotron and of Elvish voices. We thus drift into the spheres of ambience, adorned of good sound effects, of “Quantum Waves”. A seraphic sweetness watches over the finale in order to pour into "IV" which is a kind of lullaby whose disorganized jingles radiate on a layer of sound flutter that seem to come from industrial machineries and that my ears had smelled in the finale of "II". These rumblings erase a little the ethereal dimension of the lullaby and carry the music towards these hollow winds which also nourish the opening of "Wave". A Mellotron flute rises and weaves an ambient romance in a jungle of concrete where yet hisses an organic vegetation. This long phase without rhythm in “Quantum Waves” completes its murky breaths when tam-tams emerge around the 3 minutes. We are still floating in this mix of forest and industrial when a sweet flute spreads its charms over the hypnotic beat from electronic skins. This slow rhythm, almost submissive, follows this tangent of rhythmic eradication while "Wave" also sinks in a final of ambiences and of sound derivations. "Particle" soaks its music in a kind of psybient vibe with lamentations in the form of floating shadows which wriggle under organic sparkles. One has to wait to "Duality" before rediscovering the charms of Xan Alexander's sequenced rhythms. The sequencer releases indeed an agile snake which deploys its hypnotic undulations which dominate a synth and its Mellotron perfumes with nasal harmonies. "Agents of Chaos" concluded “Quantum Waves” with a solid phase of electronic rock dominated by a sequencer and its keys simultaneously jumping in a fluid movement which quite supports a sound fauna inspired by Tangerine Dream's Exit era. The first 60 minutes of passed, "Rhodes to Nowhere" offers a more contemporary tone but also a structure which is quite similar to the flute harmonies which dominated the core of “Quantum Waves”. Stolen in the plate of Star Dark, "Dream Force (Remix 2018)" is more in mode Berlin School's electronic rock than the rough and heavy side of the English model. The rhythm is still of lead with good pulsating sequences and a good electronic drum while the synth throws solos and harmonies which are still linked to the influences of Tangerine Dream, period 86. 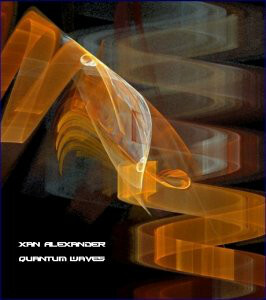 A good title that demonstrates the more rock and lively side of Xan Alexander who gives us in this “Quantum Waves” an album more dominated by ambiences, very Froese, than rhythms which are delicate and floating in the pure spirit of the Berlin School. C'est dommage, on ne parle pas beaucoup de Xan Alexander. Et pourtant, on devrait! C'est aussi plutôt normal puisque le musicien Anglais se concentre sur les activités de Magnetron dont le dernier album studio remonte à 2017 avec Hypnosis. Depuis, c'est le silence! Sauf pour les rééditions en format CD-r sur le label Synth Music de son catalogue dont “Quantum Waves” qui fut réédité à l'été 2018. Je vais donc tenter de corriger cette injustice en apportant à votre attention cet album, en réalité son 4ième album en solo, qui tangue vers un univers d'ambiances très près des territoires d'Edgar Froese et de Tangerine Dream, deux sources d'inspiration très dominantes dans la musique du musicien Anglais. Apparu en 2010 sur le label Ambient Live, “Quantum Waves” a connu deux mutations; en 2013 avec le label Ouroboros Music et en 2018 sur Synth Music Direct et le site Bandcamp de Xan Alexander avec l'ajout de 2 titres bonis. C'est cette édition que je chronique pour vous, amateurs de Berlin School! C'est avec une approche de Western futuriste que s'ouvre “Quantum Waves”. La ballade de "I"! Des battements pulsatoires adoptent une démarche débonnaire qui s'appuie sur d'autres percussions métronomiques sonnant comme des picorements sur du bois. Un clavier trace une délicieuse approche qui tisse un agréable ver d'oreille avant de fondre dans un désordre ambiant où le rythme magnétisant de "I" s'est éteint sans notre consentement. La musique est attachée en un long fleuve sonique qui se rend jusqu'à "Agents of Chaos". Effets de clavier qui sont près de la période Exit, on peut aussi ajouter White Eagle, c'est dans l'introduction d'ambiances nébuleuses de "II" que les premiers parfums d'influence Tangerine Dream se font entendre. Une approche rythmique émerge après la 1ière minute de ces ambiances. Le séquenceur module un rythme en progression qui sonne comme la croisade d'un chevalier galopant dans un pré où chacun des trots de son cheval chimérique soulève des particules sonores. Des nappes d'un synthé aussi enveloppant que les bras maternels de Morphée enveloppent ce rythme passif qui permet au synthé de cracher un venin sonique avec des solos qui hypnotisent notre quête sonore. On arrive à la barrière des 8 minutes! Le rythme s'efface et "II" plonge dans un endroit mystique qui renoue avec les énigmes soniques de son ouverture. Ce moment d'ambiances, calqué sur les modèles Tangerine Dream et Edgar Froese en solo, glisse vers les douceurs de "III" qui est dominé par des caresses de Mellotron et des voix Elfiques. Nous dérivons ainsi dans les sphères d'ambiances, nimbées de beaux effets sonores, de “Quantum Waves”. Une douceur séraphique guette la finale afin de se verser dans "IV" qui est un genre de berceuse dont les tintements désorganisés rayonnent sur une couche de flottements sonores qui semblent provenir de machineries industrielles et que mes oreilles avaient flairé dans la finale de "II". Ces grondements effacent un peu la dimension éthérée de la berceuse et portent la musique vers ces vents creux qui nourrissent aussi l'ouverture de "Wave". Une flûte de Mellotron s'élève et tisse une romance ambiante dans une jungle de béton où siffle pourtant une végétation organique. Cette longue phase sans rythmes de “Quantum Waves” achève ses respirations glauques lorsque des tam-tams émergent autour des 3 minutes. Nous flottons toujours dans ce mélange de forêt et de béton industriel lorsque qu'une doucereuse flûte étend ses charmes sur les battements hypnotiques des peaux électroniques. Ce rythme lent, quasiment de soumission, suit cette tangente d'éradication de rythmes alors que "Wave" s'enfonce aussi dans une finale d'ambiances et de dérivations sonores. "Particle" trempe sa musique dans un genre de psybient avec des lamentations sous formes d'ombres flottantes qui se tortillent sous des pétillements organiques. Il faut attendre à "Duality" pour redécouvrir les charmes des rythmes séquencés d'Xan Alexander. Le séquenceur libère en effet un serpent agile qui déploie ses ondulations hypnotiques qui dominent un synthé et ses parfums de Mellotron aux harmonies nasillardes. "Agents of Chaos" concluait “Quantum Waves” avec une solide phase de rock électronique dominé par un séquenceur et ses ions sautillant simultanément dans un mouvement fluide qui supporte assez bien une faune sonore inspirée de Tangerine Dream des années Exit. Ces 60 premières minutes de terminé, "Rhodes to Nowhere" propose une tonalité plus contemporaine mais aussi une structure qui s'apparente assez bien aux harmonies flûtées qui dominaient le cœur de “Quantum Waves”. Piqué dans l'assiette de Star Dark, "Dream Force (Remix 2018)" est plus en mode rock électronique Berlin School que le côté rude et lourd du modèle Anglais. Le rythme est toujours de plomb avec de bonnes séquences pulsatoires et une bonne batterie électronique alors que le synthé lance des solos et des harmonies qui restent toujours liés aux influences de Tangerine Dream, période 86. 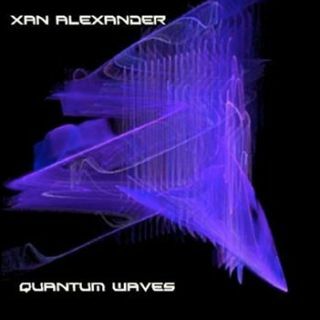 Un bon titre qui démontre l'approche plus rock et entraînante de Xan Alexander qui nous offre en ce “Quantum Waves” un album plus dominé par les ambiances, très Froese, que des rythmes qui sont délicats et flottants dans le pur esprit du Berlin School. I repeated it often since a few months; if you are an EM fan which refuses any bordering attachment, the invasion of the Belgian EM will fill your ears with happiness. EILAND is a trio consisted of Marcus Scheibmaier, Steve Slingeneyer and Bruno Coussée. It's to the latter that the organizers of the Full Moon Healing event have turned in 2016 to create an opening number for the performances of Gigi Masin and Laraaji. Bassist and guitarist who also plays a variety of other instruments, including the Mellotron and other synthesizers, Coussée contacts Marcus Scheibmaier, who is also a synthesizer and sequencer programmer, and the percussionist Steve Slingeneyer. He explains his musical vision of composing a sonic tale about the universe. Visual arts artist Lies Dierckx embarks on the project. His fresh vision brings a new dimension to the Coussée project. This is how EILAND was born. The four artists are working on the project that has fill the eyes and the ears of the spectators attending this Full Moon Healing. Given this success, the group decided to record the experience, both music and visual arts. This is how the album and the movie “EILAND” saw the light of day. It was not until nearly two years later that the music was taken by the Belgian label Wool-E Discs, which has become a breeding ground for local talent. The CD was released during a performance of the band at the famous B-Wave Festival of 2018. Festival which also included Pyramaxx, Erik Wollo and Michael Stearns. The show and the music were then dedicated to Patrick "Kosmos" Wille-De Wael. 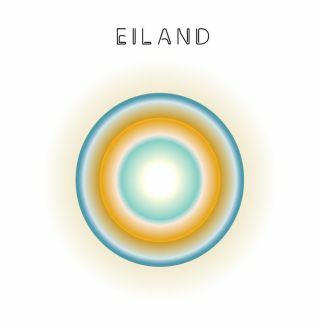 Audacious and constantly evolving in the different spheres of EM, the music of “EILAND” is sewn of complex links which makes it transit between good Berlin School, progressive rock ... very progressive, and drifting floating cosmic ambiences. Lapping of water and waves roll like thunders in heavy rain. A brighter ray coming from a synth, like a sunbeam which tries to awaken a sleeping Earth. Bird chirps and piano notes which clink and resonate in an organic ambience, much like the music which rock the images of a forest awakened in documentaries of the BBC. You can hear Tibetan percussions tingling with more precision as "Eden: Ohrwurm" takes shape. A bass sculpts an upward movement which breathes and expires in a minimalist pattern. These bass chords echo at times. They amplify the tightrope walk of a music of ambiences which receives its first musical rays from the synths. Under these sound caresses, the rhythm is fluid and catchy. Exploring the sonic travels of Pink Floyd's pre-Meddle years with guitar chords which scatter among the anesthetic synth layers. The music increases in velocity, reaching a more intense dimension towards a finale whose rumblings lead to the explosion, that made me jump, of the percussions which opens "Into the Realms of Bodhicitta". A hoarse voice, which seems to hide behind a vocoder gnawed by radioactive resonances, recites an incantation that finds its fury in a musical intensity which gets more and more violent. Drums combine this intensity with arrangements of a synth whose sonic heresies flirt vigorously with the intonation of Coussée's voices. Spread out over 4 minutes! I found that annoying. In return, it is a very acceptable gateway for "Beyond Mind and Matter: A Spirit Odyssey" which is the highlight of this album. The sequencer and repetitive percussions loops pound on a mesmerizing rhythm which seduces even more with the reflections of oscillations which wave like waves in perpetual pulsations. This tide of oscillations is of an intensity which gives chills in the back. Percussions slam and the bass eats our emotions with a poise which directs the music towards a Funk and then a Jazz completely unreal. The synth multiplies its layers which are more harmonious here with an even more convincing sibylline vision. From Berlin School to Jazz, "Beyond Mind and Matter: A Spirit Odyssey" mixes the two genres perfectly up until the 10th minute when the cosmic elements attract the music towards an ambient area fed by musical, as well as mysterious, synth pads. One has this reflex to play again "Beyond Mind and Matter: A Spirit Odyssey"! And that's when we get became addicted to “EILAND”. A huge surprise that my eyes can not wait to meet! Je le répète souvent depuis quelques mois; si vous êtes un amateur de MÉ qui refuse tout attachement frontalier, l'invasion de la MÉ Belge vous emplira les oreilles de bonheur. EILAND est un trio composé de Marcus Scheibmaier, Steve Slingeneyer et Bruno Coussée. C'est vers ce dernier que les organisateurs du Full Moon Healing se sont tournés en 2016 afin de créer un numéro d'ouverture pour les prestations de Gigi Masin and Laraaji. Bassiste et guitariste de formation qui joue aussi une panoplie d'autres instruments, dont le Mellotron et autres synthétiseurs, Coussée contacte Marcus Scheibmaier, qui est aussi un synthésiste et programmateur de séquenceur, et le percussionniste Steve Slingeneyer. Par la suite, il explique sa vision musicale qui est de composer un conte sonique à propos de l'univers. L'artiste des arts visuels, Lies Dierckx embarque dans le projet. Sa vision plus fraîche apporte une nouvelle dimension au projet de Coussée. C'est de cette façon qu'EILAND nait. Les 4 artistes travaillent sur le projet qui en a mis plein les yeux et les oreilles aux spectateurs présents lors de ce Full Moon Healing. Devant ce succès, le groupe décidait d'enregistrer l'expérience, tant le côté musique que l'aspect arts visuels. C'est ainsi que l'album et le film “EILAND” voyaient le jour. Il a fallu attendre près de 2 ans avant que la musique soit endossée par le label Belge Wool-E Discs qui est devenu une véritable pépinière de talents. Le CD est apparu lors d'une prestation du groupe au fameux Festival B-Wave de 2018. Festival qui regroupait aussi Pyramaxx, Erik Wollo et Michael Stearns. Le spectacle et la musique fut alors dédiée à Patrick "Kosmos" Wille-De Wael. Audacieuse et en constante évolution dans les différentes sphères de la MÉ, la musique de “EILAND” est cousue de liens complexes qui la fait transiter entre du bon Berlin School, du rock progressif très…progressif et des ambiances cosmiques planantes. Des clapotis d'eau et des vagues roulent comme des tonnerres sous une pluie forte. Un rayon plus lumineux émane d’un synthé, comme un rayon de soleil qui tente d'éveiller une Terre endormie. Des gazouillements d'oiseaux et des notes de piano qui tintent et résonnent dans une ambiance organique, un peu comme ces musiques qui bercent les images d'une forêt en éveil dans les documentaires de la BBC. On peut entendre des percussions tibétaines tinter avec plus de précision alors que "Eden: Ohrwurm" prend ses formes. Une basse sculpte un mouvement ascendant qui respire et expire dans un pattern minimaliste. Ces accords de basse résonnent par instants, amplifiant la marche funambule d'une musique d'ambiances qui reçoit ses premiers rayons musicaux des synthés. Sous ces caresses sonores, le rythme est fluide et entrainant. Explorant ainsi les voyages sonores de Pink Floyd, des années pré-Meddle avec des accords de guitare qui s'éparpillent parmi les nappes anesthésiantes des synthés. La musique augmente en vélocité, atteignant une dimension plus intense vers une finale dont les grondements conduisent à l'explosion, qui m'a fait sursauter, des percussions qui ouvre "Into the Realms of Bodhicitta". Une voix rauque, qui semble se cacher derrière un vocodeur rongé par des résonnances radioactives, récite une incantation qui trouve sa fureur dans une intensité musicale qui devient de plus en plus violente. Des percussions soudent cette intensité à des arrangements d'un synthé dont les hérésies soniques flirtent avec vigueur avec l'intonation de Coussée aux voix. Étalé sur plus de 4 minutes! J'ai trouvé ça agaçant. En contrepartie, c'est une porte d'entrée fort acceptable pour "Beyond Mind and Matter: A Spirit Odyssey" qui est le point fort de cet album. Le séquenceur et des boucles répétitives de percussions tambourinent une rythmique hypnotisante qui séduit encore plus avec des reflets d'oscillations qui ondulent comme ces ondes en perpétuelles pulsations. Cette marée d'oscillations est d'une intensité qui donne des frissons dans le dos. Des percussions claquent et la basse mange nos émotions avec un aplomb qui dirige la musique vers un Funk et puis un Jazz tout à fait irréel. Le synthé multiplie ses couches qui sont plus harmonieuses ici avec une vision sibylline encore plus convaincante. Du Berlin School au Jazz, "Beyond Mind and Matter: A Spirit Odyssey" mélange à merveille les deux genres jusqu'à la 10ième minute où les éléments cosmiques attirent la musique vers une zone ambiante nourrie par des nappes de synthé aussi musicales que mystérieuses. On a ce réflexe de rejouer "Beyond Mind and Matter: A Spirit Odyssey"! Et c'est à ce moment que l'on est devenu accro à “EILAND”. Une énorme surprise que mes yeux ont hâte de rencontrer!